Today I welcome author Annie Douglas Lima. She lives with her her husband in Taiwan, and besides writing, she also teaches fifth grade. Annie, thank you for joining us today. Linda Covella: How long have you been a writer? Annie Douglas Lima: When I was seven years old, I had a sudden inspiration for a story and decided then and there that I was going to write a book and be the world’s youngest author! I ran to my room in great excitement, found an old notebook and a pencil, and started in. Well, that first novel was never actually finished, let alone published, but it got me started. After that I can’t remember a time that I didn’t have at least one book in progress. But it wasn’t until I was nearly done with college that I started working on a book that would eventually be published. LC: Do you write in one particular genre, or explore a variety of stories? ADL: I’ve only ever done young adult action adventure/fantasy. It’s what I most enjoy reading and what’s easiest for me to write. LC: From where do you get your inspiration for your stories? ADL: The inspiration for my first published book, Prince of Alasia, came from a dream I had. Most of the rest have flowed from that or from ideas I’ve had related to those characters. LC: What is your writing process? How much/often do you write? ADL: I always begin by creating an outline. It starts off as a brief summary of the whole book (a page or two long), then at some point I usually divide it up chapter by chapter, with a few sentences about what will happen in each. The details change as I go along, and I often end up with more chapters than I originally planned, but I really need that structure to get me started and keep me focused as I write. When I come to a part of the story where I have to write about something I don’t know, I stop writing for a while and research the issue. (For example, in Prince of Malorn the main character, Prince Korram, has to live off the land while making a solitary trek through the mountains. I spent hours researching details about wilderness survival to make sure everything was accurate. I learned about making wooden spears without steel tools, how to start a fire with rocks, what kinds of edible plants you could expect to find, and what beetle larva tastes like!) While I research, I type notes right into my manuscript, then when I’ve found out what I need to, I turn the notes into a coherent scene or into bits of information to be used in various scenes. After I finish drafting a scene or chapter, I let it sit for at least a day. Then I go back and re-read it, fixing any obvious errors and adjusting the word choice and sentence fluency to make it sound as good as it can. I go on to the next scene after that, and so on. When I’ve finished the whole book, I read through it at least once, often twice, checking for inconsistencies and making sure it all flows right. Then I read it aloud to my students and/or send it to beta readers for their feedback. Because my day job keeps me busy on weekdays, I mostly write on the weekends. Sometimes I’ll write a little in the evenings if I don’t feel too brain dead after a long day of teaching. LC: Do you have writing partners who critique your work before submission? Why do or why don’t you think this is important? ADL: I’ve been blessed to have a number of different beta readers, most of whom I’ve found through my online writing groups. Their input has been very helpful to me in seeing what needs to be changed in my stories. In addition, I read my books aloud to my students every year (I teach 5th grade and also host a reading club for middle schoolers). Their reactions help me know what scenes are exciting or funny to readers of that age, what doesn’t make sense, etc. I don’t think any author, no matter how skilled, can accurately judge how her writing will come across without feedback from others. LC: Support from fellow writers can be helpful in so many ways. We’re both members of Clean Indie Reads, a support group for authors and a place for readers to find “flinch-free” fiction. Today the group is celebrating its one year anniversary and the milestone of over 300,000 views. How has this group helped you and your writing? 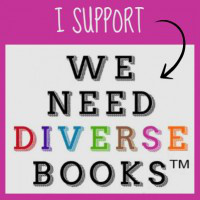 ADL: Clean Indie Reads is awesome! I love the way people there are so willing to tweet each other’s tweets, share each other’s updates about book releases, answer questions about writing and publishing, and just encourage each other in our writing. Because all books featured there are “flinch-free”, I don’t have to worry that I’ll be tweeting or sharing about something that goes against my moral standards. It’s been a real blessing to me to be part of such a supportive group of writers! LC: How long have you actively been pursuing publication? ADL: For about eight years now, ever since I decided Prince of Alasia had a chance. LC: Do you have an agent? If yes, how did you go about finding him/her and what have the benefits been to having an agent? If not, do you think an agent would be helpful to your writing career/do you plan to seek an agent? ADL: I spent a couple of years trying to get an agent, but to no avail. Finally I learned about Kindle Direct Publishing and decided to publish on my own. I’m no longer seeking an agent or traditional publication, because I don’t think it would help me much. When it comes to the writing/publishing/marketing process, marketing is my biggest weakness. But the way it works these days, authors are still responsible for most of their own marketing either way. A traditional publisher wouldn’t be likely to do much for me that I’m not already doing anyway. LC: Your new release, Prince of Malorn, is the third book in your Annals of Alasia series. Please tell us a bit about these books. ADL: Yes, Prince of Malorn is the third book in the series, but like the others, it can stand on its own. Each book deals with events surrounding the same major political incident: the invasion of the kingdom of Alasia by the neighboring kingdom of Malorn. Prince of Alasia begins on the night of the Invasion and describes what happens to twelve-year-old Prince Jaymin after he is forced to flee for his life. In the Enemy’s Service features a girl as the protagonist and tells the story of those who were not able to escape from the Alasian palace when the enemy invaded. Prince of Malorn begins several months earlier and focuses on the Malornian perspective of the events leading up to the Invasion. In each of the books, main characters from the others make brief appearances and interact with each other at the point where the timeframes and settings overlap. LC: If you could have any job (besides being a writer), what profession would you choose? ADL: Actually, writing isn’t my day job. I teach fifth grade at an international school in Taichung, Taiwan, where my husband and I have lived for the last six years. I love teaching and don’t ever plan to quit, but I do wish it left me with more time for writing! LC: What’s up next for Author Annie Douglass Lima? ADL: I’m nearly done with the next book in the series, tentatively titled King of Malorn. It takes place five years later and brings together the main characters from all three of the other books. In addition, I’m working on an unrelated story that will probably be the first in a completely different series. It’s called The Collar and the Cavvarach, and is set in a world very much like our own except that slavery is legal. Though still a young adult novel, it’s geared toward a slightly older audience than my Annals of Alasia and deals with darker issues. Writing it has been both an exciting and disturbing experience for me. In the last few weeks I’ve begun outlining ideas for its sequel. LC: Annie, thanks so much for telling us about your writing and sharing your “Road to Publication.” It’s been a pleasure having you! Annie Douglass Lima spent most of her childhood in Kenya and later graduated from Biola University in Southern California. She and her husband Floyd currently live in Taiwan, where she teaches fifth grade at Morrison Academy. She has been writing poetry, short stories, and novels since her childhood, and to date has published six books (three YA action adventure/fantasy and three anthologies of her students’ poetry). Besides writing, her hobbies include reading (especially fantasy and science fiction), scrapbooking, and international travel. I am an author of fiction for tweens and teens. I really admire writers who take care to do plenty of research for their novels…you can tell, I think, as a reader whether the writer has put the hours in or not. The cover looks awesome, btw! I agree that doing your research shows in the story. I love the cover, too! Thank you both! Yes, it did take hours, but it was worth it. And I love the cover too – I think my cover artist did his best work yet! Linda, thanks for letting me visit your blog. I enjoyed it, and I hope your readers enjoyed hearing about Prince of Malorn! Annie, it was fun having you. Good luck with your writing and books!